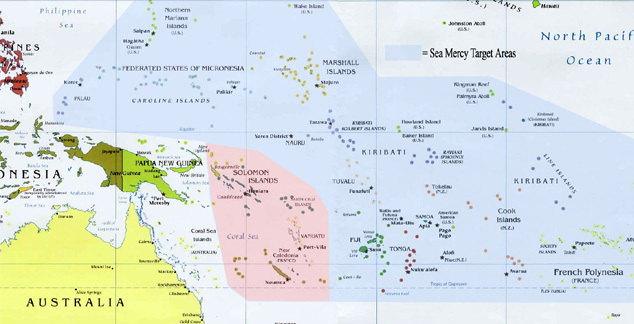 The Solomon Islands & Vanuatu are island nations are in the southwestern sector of the Sea Mercy target zones. We believe the health care needs of these two island nations is evenly balanced between a very strong need in the Solomon Islands, to a moderate need in Vanuatu. Their location is such that one floating clinic would be able to cover the more neglected "remote islands" needs in a one year time period. The Solomon Islands is a sovereign state in Oceania, east of Papua New Guinea, consisting of nearly one thousand islands. It covers a land mass of 28,400 square kilometres. 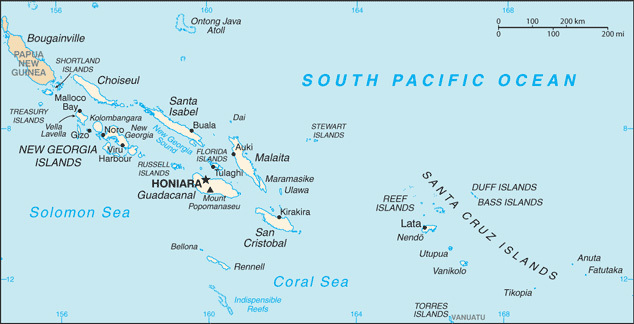 The capital, Honiara, is located on the island of Guadalcanal. The Solomon Islands have one of the highest malaria rates in the world. Key areas of focus would be: Malaria, acute respiratory infections (ARI), STI/HIV, high maternal mortality, yaws TB and leprosy. 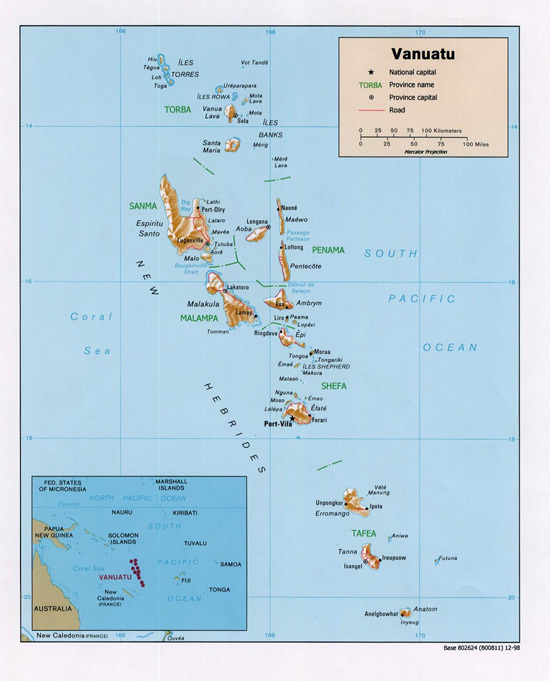 Vanuatu, formerly the Anglo-French condominium of the New Hebrides, is an irregular Y-shaped chain of some 80 islands, with a total land area of about 12,200 sq km (4,710 sq mi) and a total coastline of 2,528 km (1,571 mi). Malaria is the most serious of the country's diseases, which also include leprosy, tuberculosis, filariasis, and venereal diseases. Safe water was available to 87% of Vanuatu's population. There is a strong need for improvement in immunization rates for children under one. He are the current immunixation rates: diphtheria, pertussis, and tetanus, 74%; polio, 74%; measles, 53%; and tuberculosis, 86%.